Indie darlings Grizzly Bear played the first of two Los Angeles shows in support of their newest release Painted Ruins on the evening of September 24th, 2017. This show was my first formal excuse to see something at Zebulon Café Concert, a dark and sleek venue nestled in the trendy gentrifier’s locale of Frogtown, the neighborhood so hip that even Alia Shawkat’s character in Transparent Season 4 calls it home. I’d been quite excited to check out Zebulon after reading about a wide array of intriguing programming there in the past such as professional whistling extraordinaire Molly Lewis’ show and performance artist Dynasty Handbag’s monthly ‘Freak Night’ variety program. Zebulon, which is situated next to splashy Mexican restaurant Salazar, didn’t disappoint in the least! The friend I brought with me to the show ran into Busy Phillips, who recently starred in Grizzly Bear’s video for ‘Losing All Sense’ directed by SSION, on the way in much to our giddy amusement. In addition to its well-stocked bar, the actual show space at Zebulon proved to be truly exceptional, especially when compared to other venues around Los Angeles. Minimal, all black and generously spaced, the configuration allows for decent viewing from almost anywhere in the house. The muddled mirror wall and mini geometric bleachers in the back were both nice touches as well. Venue aside, the band’s performance was, unsurprisingly, absolutely fantastic. I was worried before the show that my nostalgic attachment to Grizzly Bear releases of yore had created impossibly high expectations for what was to go down at Zebulon that night. Thankfully, the musicianship of each member involved put that fear to rest immediately with a stirring opening of their new album tracks “Four Cypresses” and “Losing All Sense”. The intimate assembled crowd of what largely appeared to be 30-40 year old white creative professionals swayed and wooed in return, setting the stage for the band’s decidedly un-dancey songs to command a kind of hushed and reverent audience appreciation. 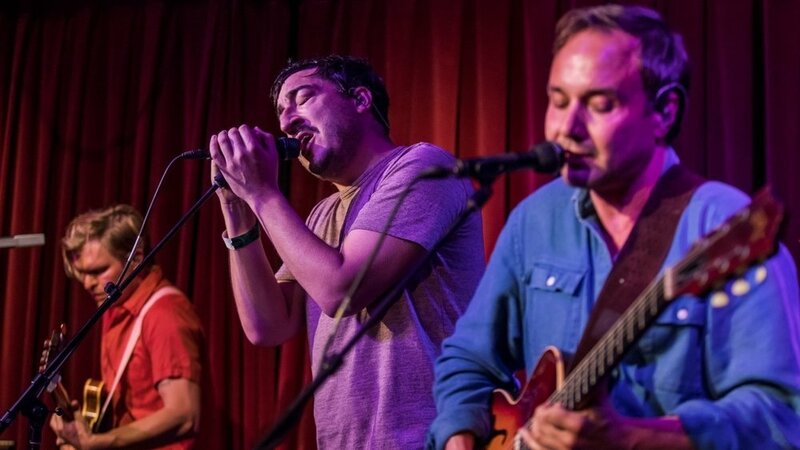 Ed Droste and the rest of the band seemed to understand that they were playing to a home audience; conversation in between songs was kept brief, earnest and polite, appreciative but not contrived. Mid-set strongholds like Grizzly Bear classics “Two Weeks”, “Sleeping Ute”, and “Yet Again” helped keep the crowd emotionally involved and basking in their fond memories of 2011. Droste and Daniel Rossen’s vocal harmonies felt grooved and correct, Christopher Bear’s drumming was perfectly dynamic, and Chris Taylor’s bristling bass kept the group’s famed sonic chaos grounded and ripe. Now on their fifth album, this band of deeply talented musicians clearly knows what they’re doing, and are quite, quite effective at delivering upon their artistic promise. Their clashy baroque rock aesthetic seems to have crystallized into an ultimately advanced project. Nevertheless, I couldn’t help but long for a riskier concert experience, something that felt a bit more visceral or even performative. While putting on the façade of rocker glam brashness has never appealed to the group, I found myself turned off by what seemed to be a highly comfortable and even smug show. Their fully fleshed national tour will inevitably up the ante, and I highly encourage fans of the band’s discography to see them play live if given the chance. I’m certainly glad I did!